Formed in 1984, Philiam is a privately owned company that specialises in prestigious residential, commercial and Public Building works throughout London and the home counties. Over the last three decades Philiam have gained a reputation for delivering outstanding quality and value to its clients. The company directors and staff take pride in all aspects of construction including quality of workmanship, materials, Health & Safety and client expectations. Managing our contracts effectively enable us to achieve the finer details required by all our clients. Operating from our Head Office in Bushey, Hertfordshire, Philiam concentrates on locations within the M25. 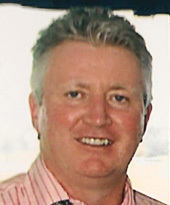 Liam started Philiam Construction Ltd in 1984, in conjunction with Phil McGee. He has a background in the Construction industry as a Quantity Surveyor working for a PQS. Liam is the senior manager of the back office aspect of the business. He focuses on delivering quality and value for money on projects. He also has the responsibility of ensuring health and safety policies and procedures are adhered to by all staff on site and off site. 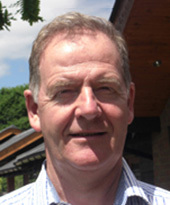 Phil started Philiam Construction Ltd in 1984, in conjunction with Liam Coyle. He has a background in the Financial Services working for both the Ulster Bank and Canada Life. Phil brings a hands-on approach to problem solving, with an ability to see the bigger picture, while remaining fully in touch with the details. Phil is responsible for the business management, funding and staff. He has a proven ability to build strong, teams, with the right balance of skills to work successfully together over the long-term. 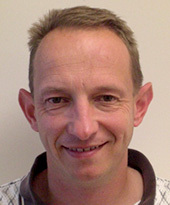 Tim joined Philiam Construction from Mansell Plc in 1997. He has 27 years’ experience within the construction industry, completing his early years at Balfour Beatty where he was fast tracked through the management training scheme and promoted to Senior Surveyor. Tim oversees day-to-day running of the projects. He brings extensive experience as a quantity surveyor, together with a highly organised approach and strong planning skills. He has a strong focus on bringing the projects in on time and to budget. He applies his considerable experience in cost control and monitoring to ensure the project costs are kept under control. Tim gets involved at the project conception and design phase, visualising how the project could best be built. He is always looking for better ways to do things for the overall benefit of the project. He is a proactive problem solver, anticipating problems and issues before they arise. He provides constructive comments to produce practical, workable solutions. He deals with issues, reprogramming the project if required. Drawing on his strong communication, management and team working skills, Tim is adept at motivating his project teams and sub-contractors, getting them involved as early as possible in the projects to ensure the best results. 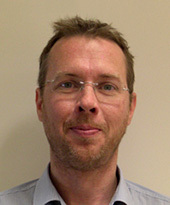 Gavin joined Philiam Construction from the London Borough of Hammersmith and Fulham in 2003. He has 23 years’ experience within the construction industry, moving from private sector, speculative housing, to the public sector where he worked as a Contracts Manager responsible for the Non-housing section of Hammersmith and Fulham’s Direct Service Department. 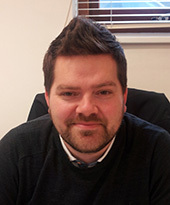 Gavin oversees procurement, management of sub-contractor accounts, as well as day-to-day running aspects of his projects. He has a strong commitment to delivering high customer satisfaction. With over 15 years’ experience of working in the local government environment, he brings a deep understanding of the policies and practices, and the issues that need to be addressed to deliver a high quality project. Gavin has strong capabilities in cost management, controlling the costs and managing project finances to the agreed budget. Brigitta joined the company in 2008. 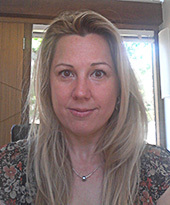 Brigitta is involved from the early stages of a project to the end, she handles the day-to- day general administration and back office functions including credit control and accounts payable duties. She is highly organised, processing the subcontracting and materials invoices, and ensuring everything is input onto our system. Brigitta also acts as a central point for communications and correspondence for all the projects, as well as liaising with suppliers and architects. Richard joined the company in 2013. With over 9 years’ experience in purchasing, Richard is well-versed in researching and dealing with suppliers and sub-contractors. He manages the general procurement throughout the course of the projects and is also assisting in contracts administration, working with contracts managers to issue sub-contractor and materials orders.